Riding takes up a lot more understanding of the things around you; to begin with it teaches you to balance your body, while on two wheels. So, it’s more a matter of mind over your body, where the skills you learn,are put to use in stressful conditions, such as maneuvering your motorcycle. Learning to maneuver without crashing, is indeed a skill; To be able to decide when to throttle and when to break the speed, is driven more by your instincts that your brain learns to trust over a period of time. Research has shown that the feeling of pacing through the road, wind brushing your skin and the landscapes just passing by your eyes, gives you a sense of adventure and gets your adrenaline kicking. This chemical produced by the brain, is a vital part of its response to fight or flight situations. Success in such situation makes you more confident, hence making you happier. While on road constant monitoring of your current situation is required. Be it gauging the speed,minding your body posture or angle of the bike, keeping an eye on the road condition, following the lane, foreseeing an incoming hazard, etc., serve as meditation. Which in turn clears your mind off the other pointless things in life, you’ve been over-thinking about. Similar to what meditation does to your mind. Another reason is, being outdoors and being physically active makes your brain healthier and you become calmer, happier, confident and kinder. It is claimed that riding can burn an extra 40 calories an hour than driving a car, since it is physically tasking than the latter. If you are singing along while riding, then chances are that you’d scorch an extra 60 to 70 calories an hour. So, on an average you burn about 150 to 200 calories an hour, which is even better than a leisurely jog in the park. Apparently, off-roading is even better, claims a Canadian researcher. The unruly terrain of the riders’ path increases the calories burnt, while exposing them to fresh air and reducing their chances of becoming a victim to health hazards caused due to pollutants. 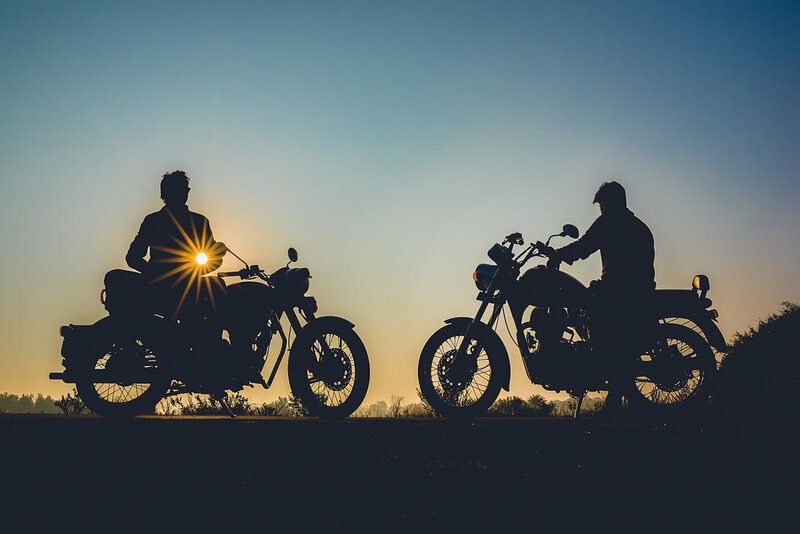 Riding a motorcycle is associated with freedom and being one with your surroundings, unlike a car that is closed off from its surroundings, making it safer and a comfortable option. While on a motorcycle the idea of going anywhere you want to, at your own pace;be it to escape from the city’s hustle and bustle, or to explore new roads. The feeling of being in control when on a bike, makes you feel that you’re at the helm of your life’s journey and you alone are responsible of where to take yourself next. It is believed that, the ones who ride a bike for the love of riding, wouldn’t ever need a therapist or a gym, since riding in itself is a therapy and a workout too.A healthy body leads to a healthy mind, since the release of chemicals like adrenalins and endorphins, elevates your spirit and makes you happier instantly. Although, make sure you pick the right bike for your therapy, for it can add much more to the whole experience. Don’t worry if you cannot get yourself a ride immediately, you can always rent a bike at ONN Bikes. We suggest you check out our range of cruiser bikes, since they are sturdy on the road and are best to ward through winter’s fog filled roads. Previous Ride ONN to Pondicherry this Republic Day Weekend! Next Papa Kehte Hain Beta Rent Karega..?